Rusty and Ruby need to save a trapped whale, so they take inspiration from a swordfish to invent an addition to their submarine to help. Meet Botarilla, Rusty's new gorilla friend! Watch this clip from the series Rusty Rivets where he helps rescue Anna from her treehouse! In this clip from Rusty Rivets, there's been a big oil spill in the lake putting the animals in danger! Rusty and Ruby come to the rescue with their water cannon, helping the wildlife clean their home! In this clip from the series Rusty Rivets, the clouds are getting in the way of Rusty and Ruby's view of an exciting comet in the sky. So they use their rocket to zoom above the clouds, giving them front row seats! In this clip from the series Rusty Rivets, Liam gets rustified, and maximises his super yo-yo skills in Rusty's yard-cade games! In this clip from the series Rusty Rivets, Liam's toy Ralph goes missing in the woods, so Rusty and Ruby set off to help him and end up getting lost in the woods themselves! Smelly plants are taking over Sparkton Hills! 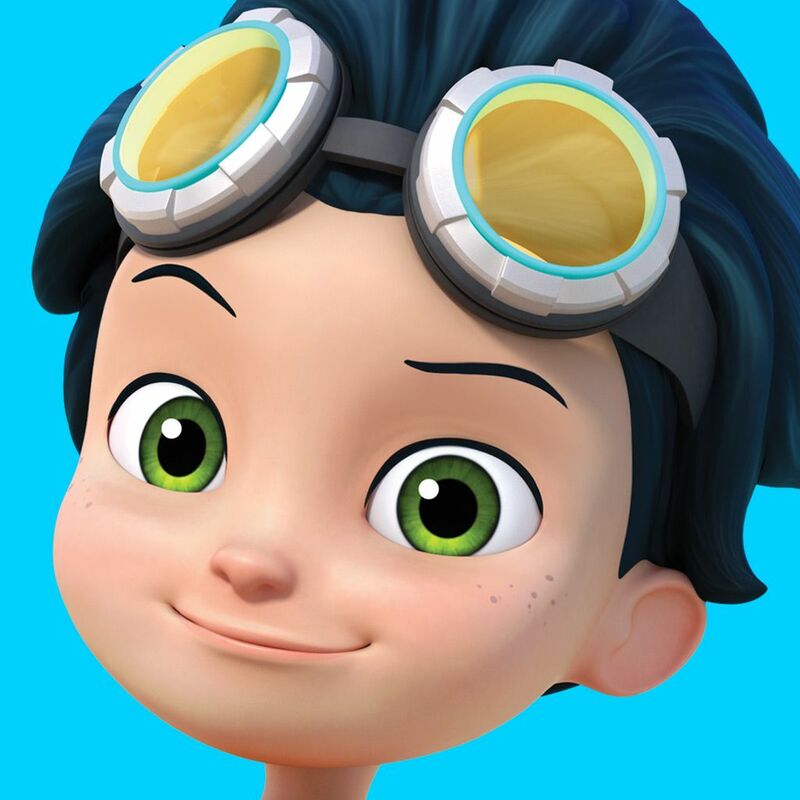 Rusty and Ruby need some help to get rid of them in this clip from the series Rusty Rivets. Rusty and Ruby set out to help guide the bees back home before they cause problems in town, in this clip from the series Rusty Rivets.